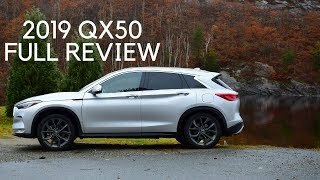 The previous QX50 was fun to drive but lagged behind the latest luxury crossovers in just about every other way. 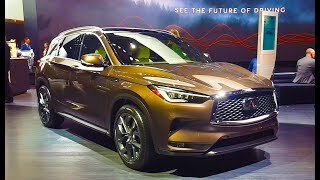 Infiniti got the memo, sharpened their pencil and designed an all-new QX50 for 2019. 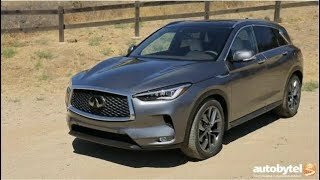 The new model sports one of the most accommodating back seats in the segment, a large cargo area, the best interior Infiniti has ever crafted, class leading fuel economy and a dollop of new technology. 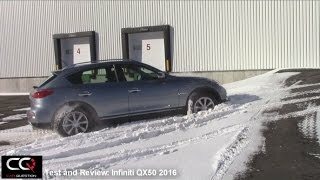 On the down side it's dropped the RWD dynamic that made the EX/QX50 so much fun. The all-new VC-Turbo engine is the first engine in the world that can mechanically vary its compression ratio from a low of 8:1 for maximum performance to a high of 14:1 for maximum efficiency and anywhere in-between. 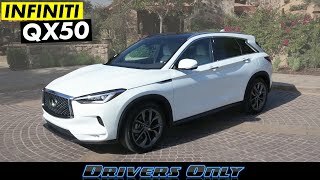 The result is a compact luxury CUV that delivers 27 MPG and acceleration comparable to the competition's popular engine choices. 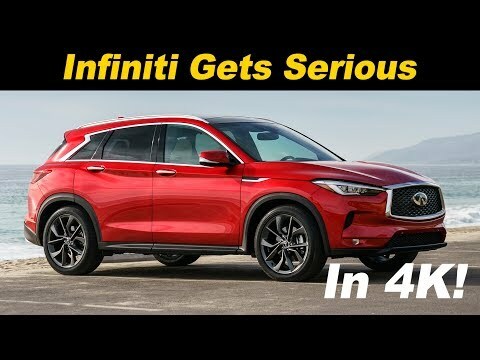 It's hard to imagine how the demand has changed Infiniti so much! 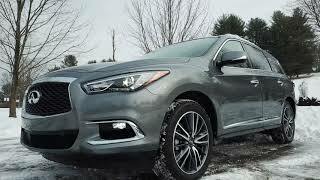 No more are the days of Infiniti making all there models fun,sporty and with high horsepower engines! 4 cylinder engine, cvt transmission! The brand has become pussified,or better yet the direction the demand is going has. Either way what a shame! SMH! 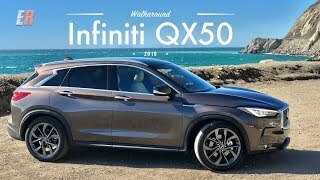 Getting a new SUV and was fortunate to find a new 2017 QX50. Made in Japan not Mexico and a solid ripping 3.7. Those days are gone. Globalism marches on. You can thank Californias increasingly stringent cafe standards. This could have been a contender for my SUV money but I went with the CX-9. Way better value, better transmission and better driving experience. 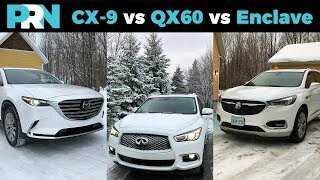 Everyone beat up Mazda for putting a turbo 4 in the CX-9 and look at many going the same way with a 4 banger. They make them better now. No it will not sound as pure as a V6 but the 310 lbs of torque that the CX-9 puts out at low rpms is no joke. It works.. The car is amazing but I am so tired of that stupid 2 screen infotainment especially without apple carplay. 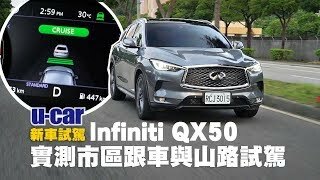 It wouldn't be so bad if they executed it better and had 2 new screens with one strictly for navigation/carplay and the other strictly for Music. Nice vehicle, but I feel that the next mid-cycle change would be a redesign of the rear lights, the present style is very conservative. Fuel economy: city & street driving... getting 15mpg...even down to 14.5 mpg. Conservative driving in Standard Mode. Last night a guy tried to race me with this infinite and he got a big surprise loosing a every light against my Stelvio. 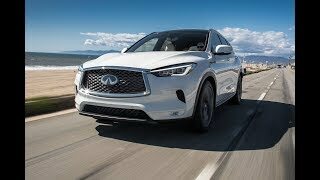 Come check out Infiniti of Bayside, queens, NY if anyone wants to look more into the qx50. 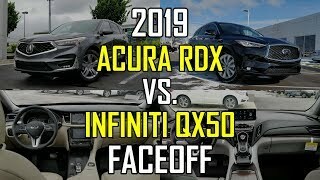 It makes me feel like a technical stud (Like Jim Anderson - of CAL TECH) when I can catch the best auto-reviewer (Alex on Autos) making a little error. I believe high-compression is related to high horsepower. A low end CVT in a luxury car? No wonder Infinity lags the competition. 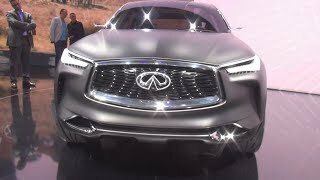 Leave it to Nissan and Infiniti to either not have enough money to develop a new torque converter transmission that's more responsive. Q50-Q60 great engine old transmission. 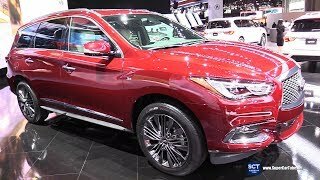 New Qx50 looks great inside and out . PUTS THE INFAMOUS CVT in it just to make u hesitate and look else where . I'm guessing they look through the data and know something I dnt . 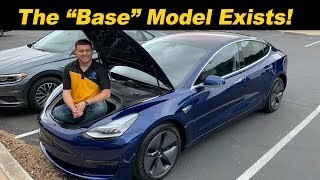 They must have figured out majority of the buyers dnt care so they doing it or they just dnt have the money or big wig to roll out a new transmission yet. Worst cabin wind noise. Not acceptable for a luxury car brand. +Kay Oss you drove for how many hrs/ miles ? I am driving this suv for 2 months and drove approximately 3k miles. I gave my genuine experience. I am not a fool to waste my time, commenting here. 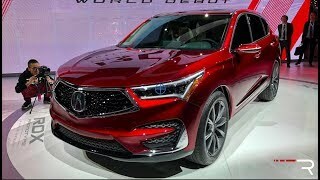 The redesigned RDX seems to be a better effort. Other than the unique (if probably expensive) VC Turbo engine, there's very little that I find attractive. Can you seat 3 adults comfortably?? NAV screen ans system is definately years behind AUDI´s google earth !!!! omg this NAV screen is so OLD looking !! didnt they look at competition like AUDI ?????!!!!!!! 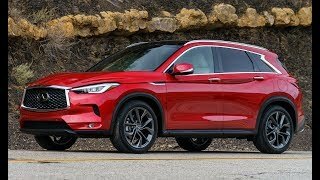 Don't tell me they'll put a 2.0t in the Qx70. 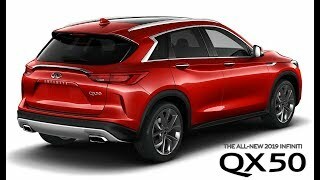 Yes this is a luxury Rogue with the upcoming Altima engine..